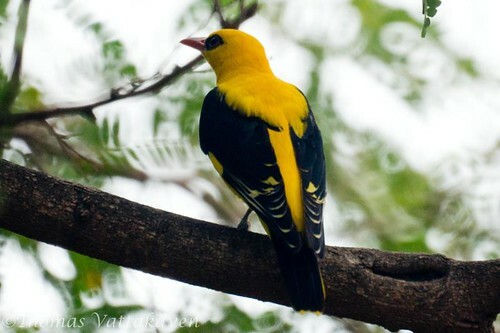 The Golden Oriole has been featured on this site earlier. Those sightings though, were all from Kerala. Having moved to Bangalore, Karnataka, I finally found the time and opportunity to join the Bird Watcher’s Field Club of Bangalore (bngbirds) to do some birding around here. 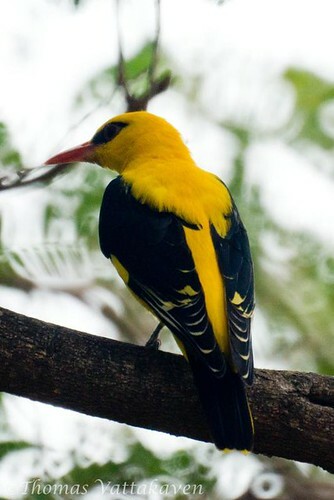 The Golden Oriole proved much harder to photograph in these locales. Although the tree cover is much less here, the bird preferred to remain within what cover it could find. On our third spotting of this bird, it finally decided to come and sit on an exposed branch of a Tamarind tree. 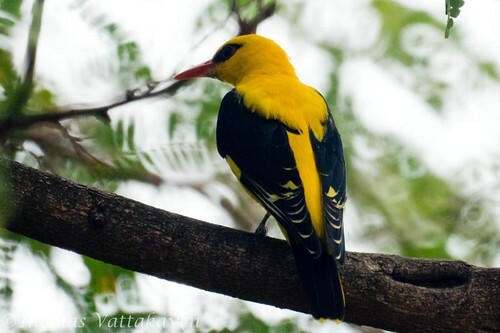 This tree seems to be a preferred hangout of the Golden Oriole even in Kerala. Yesterday’s field trip revealed a large number of species, some of which were entirely new to me – which I will be featuring on these pages soon. So keep watching.